Plan the Disney World trip of your dreams by joining TouringPlans. Budget Each of Disney's four resort categories come with its own price range. 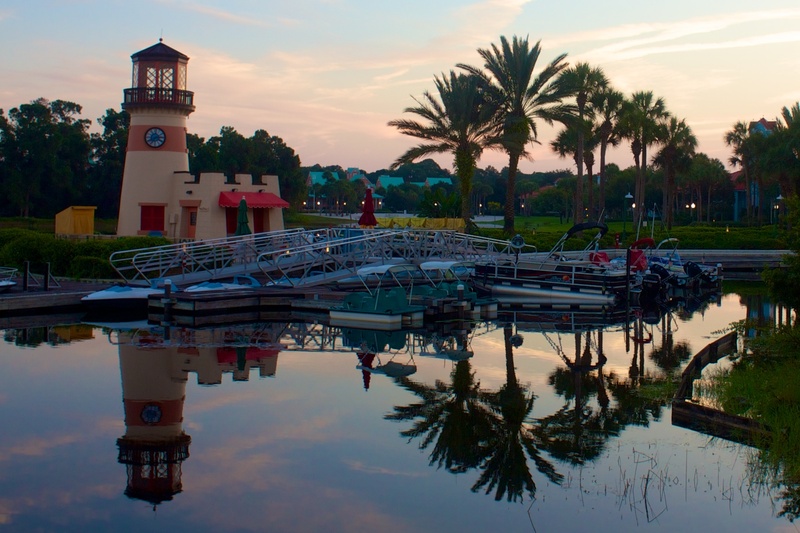 Disney's Value resorts start at around $100 per night and offer basic amenities. At the top end, Disney's deluxe resorts can cost $400 to $800 per night, and offer more lavish rooms. Determining your budget will likely point to a specific category. Number of Travelers If there are four or fewer travelers any hotel will do, but you still may want the extra space or larger beds offered in one of the upper categories. If you have more than four travelers, that will narrow your search. The prices for most Disney Resort rooms are based on two adults. If there are more than two adults there is a charge per night, per adult. In 2018 this price increased to $15 for Value Resorts, $25 for Moderate Resorts, and $35 for Deluxe Resorts. That is a $10 increase across the board from the 2017 rates. Rooms designed to hold extra adults (e.g. suites) often don't charge and there is never a charge for children staying with an adult. If You'll Visit One Park a Lot The resorts are spread out around Walt Disney World’s 43 square miles. Some are closer to the Magic Kingdom, some are closer to Animal Kingdom, and some are more centrally located. If you plan on spending most days in one park, that could narrow down your hotel choices. Here's a quick summary of the four resort categories, their prices, room sizes, and our picks for the best resort in that category. Further down you'll find more details on each hotel, including room and resort amenities, restaurants, pools, shopping, and transportation to the parks. *The "Rack Rate" is a term for a full price, or non-discounted hotel room rate. There are four categories of resort found on Walt Disney World property: Value Resort Hotels, Moderate Resort Hotels, Deluxe Resort Hotels, and Deluxe Villas. The resorts in each category come with their own amenities and price ranges. All Disney Resort Hotels have certain amenities such as a flat panel television, mini-refrigerator, hair dryer, safe, and iron. Each resort also has at least one pool. Our Hotel Room Views tool shows a picture of the view you’ll get from every hotel room in Walt Disney World. More than 30,000 photos. Completely searchable. We’ll even tell you the exact words to give Disney to request a specific room. 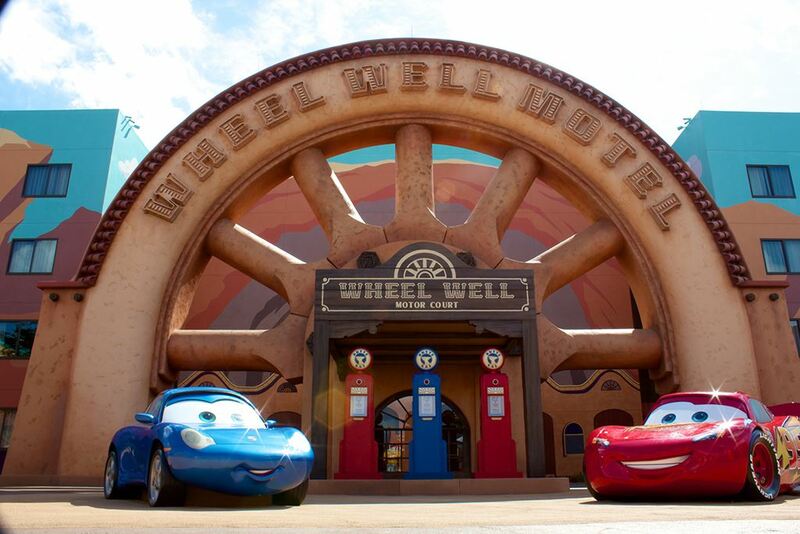 The most economical of Walt Disney World Resorts, the Value options are excellent options for those on a budget. The standard room in a Value resort is 260 square feet with two full-size beds. The rooms contain a bathroom with a shower and toilet, with a changing area just outside the bathroom containing a single sink. 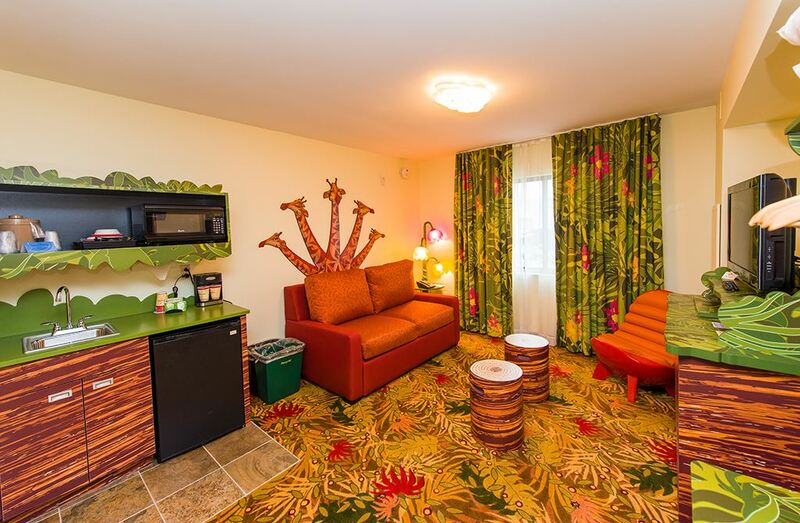 For a little more space, both the Art of Animation and All Star Music Resorts offer family suites, which are the size of two standard rooms. In these suites, one room contains a single queen-sized bet while the other is a living room with a few different fold-out bed options. If you have a larger family or just want a little extra room, the Value Suites are the most economical option. Clicking on any hotel link on this page will take you to our fully detailed resort pages where you will find a full amenity list among many other things. Each Value Resort Hotel has at least two pools, one main feature pool and one or two “quiet” pools. In addition, each of the feature pools has a nearby child play area with soft groundcover and gentle fountains. All of the pools are themed similarly to the resort. The lobby building at each resort contains a gift shop, arcade, and food court. There are no table service restaurants at Value Resorts and the only bar is the small one near the feature pool. Art of Animation Value Suite. Larger room, but a similar style of exterior theme. Moderate Resorts are the mid-level hotels at Walt Disney World. With bigger rooms and more amenities, the Moderate Resorts are a step up from the Value. The standard room in a Moderate resort is 314 square feet with two queen-size beds. 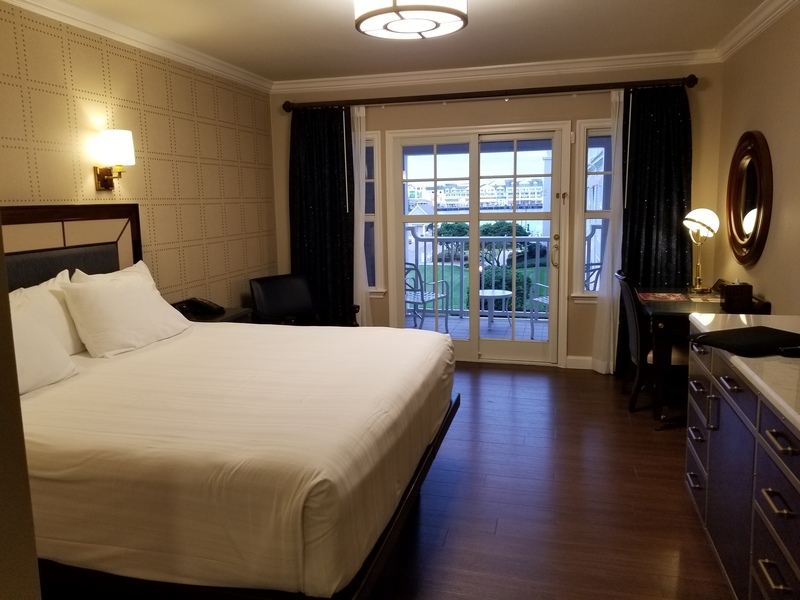 The rooms contain a bathroom with a shower and toilet, with a changing area just outside the bathroom containing either a single or double sink, depending on the resort (Caribbean Beach, Port Orleans-French Quarter, and Port Orleans-Riverside have doubles). 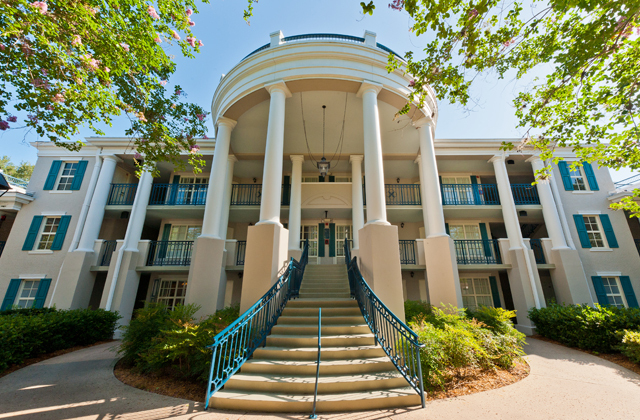 If there are 5 people traveling in your party, some rooms at Port Orleans-Riverside can officially sleep five. For a little more space, the Cabins at Fort Wilderness are considered Moderate. Actually, it’s a lot more space as their 504 square feet are equivalent in size to a 1-bedroom suite. The Cabins are made up of a living room and bedroom and are capable of sleeping 6 adults. The Cabin also has just one small bathroom so be ready if there are 6 adults. 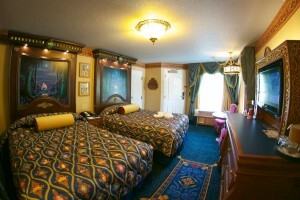 Any pirates or princesses traveling in your party may be interested to know that there are special rooms found at the Caribbean Beach and Port Orleans-Riverside Resorts. The Caribbean Beach Resort has re-themed many rooms to a fun Pirates of the Caribbean motif while Riverside has a couple of buildings worth of whimsical, yet not overly girly, Princess and the Frog rooms. In both cases the rooms are very detailed and well done, but also in buildings that are quite far from the food court area. They are also more expensive than standard rooms. Each Moderate Resort Hotel has one main feature pool and all but Port Orleans-French Quarter (the smallest resort) has anywhere from three to six “quiet” pools. The feature pools each have a water slide and a nearby child play area with shallow water and gentle fountains. All of the pools are themed similarly to the resort with the exception of the Cabins at Fort Wilderness, where the pool is a simple concrete structure. The lobby building at each resort contains a gift shop, arcade, food court, and table service restaurant. The lone exception is Port Orleans-French Quarter, which has no table service. Caribbean Beach has a simple pool bar near the feature pool, but all other Moderate Resorts have one full service lounge found in the lobby building in addition to their pool bar. Deluxe Resorts are the top of the line when it comes to standard-sized hotel rooms at Walt Disney World. With even bigger rooms and even more amenities, the Deluxe Resorts are another step up from the Moderates. Unfortunately for the purposes of this summary, although excellent for frequent visitors, there is also quite a bit of variation in the various Deluxe Resorts. 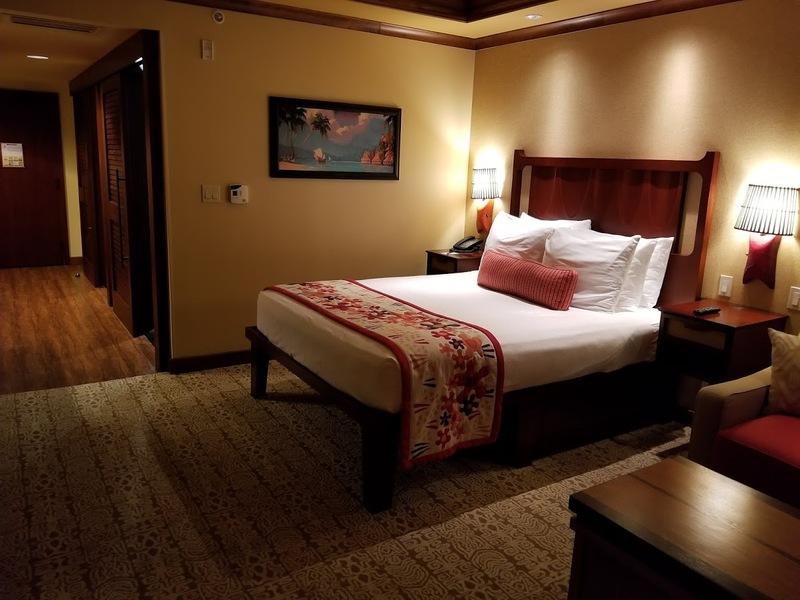 The standard rooms in a Deluxe resort range from 344 square feet (Animal Kingdom Lodge and Wilderness Lodge) all the way up to 440 square feet (Grand Floridian). All Deluxe Resort rooms are equipped with two queen-size beds. The rooms contain a bathroom with a shower and toilet, with a changing area just outside the bathroom containing either a single or double sink, depending on the resort. Each Deluxe Resort Hotel has one main feature pool and most have at least one “quiet” pool. The feature pools each have a water slide and a nearby child play area with shallow water and gentle fountains. All of the pools are themed similarly to the resort. Each resort contains a gift shop, arcade, food court, and at least one table service restaurant. All Deluxe resorts also have at least one full service lounge in addition to their pool bar. There are a myriad of different room configurations, view options, and price ranges for the Deluxe Resorts. Rather than list all the options here we encourage you to take some time browsing our immensely detailed resort pages below. Examples of Deluxe Resort grounds. From left to right: Animal Kindom Lodge lobby, Wilderness Lodge exterior, Beach and Yacht Club Resort pool. Deluxe Villas represent the most luxurious hotel rooms at Walt Disney World. 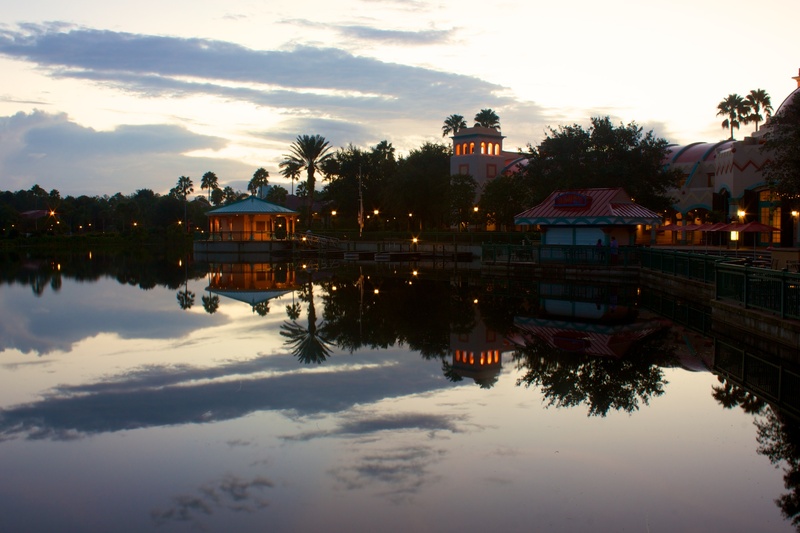 Part of the Disney Vacation Club program, most of the Villa Resorts are part of a Deluxe Resort with the exceptions being Old Key West and Saratoga Springs. There are several types of Villa room: Studio, 1-Bedroom, 2-bedroom, and 3-bedroom Grand Villas. The Studio rooms are generally the same as a Deluxe Resort room described above, while the others are much larger and contain kitchens and usually more than one bathroom. Since most of the Deluxe Villas share space with Deluxe Resorts, they share most amenities such as pools, restaurants, and bars. Where there are separate locations, the amenities are very similar to that of a Deluxe Resort. As with the Deluxe Resorts, there are too many different room configurations, view options, and price ranges to list all the options here. As before, we encourage you to take some time browsing our immensely detailed Villa pages below. Examples of Deluxe Villa rooms. 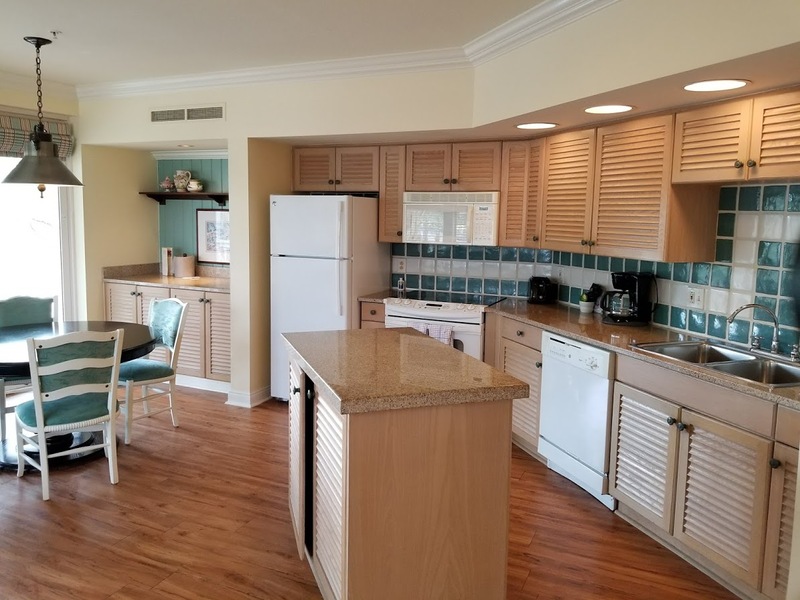 From left to right: Studio at Polynesian Village, kitchen area in an Old Key West one-bedroom, Kidani Village Grand Villa living room. The Walt Disney World resorts are spread all across the property’s 27,000 acres. While that is a significantly large area, the resorts are primarily grouped in 4 sections: Magic Kingdom, Epcot, Animal Kingdom, and Bonnet Creek. The Grand Floridian, Polynesian, Contemporary, and their associated Villas border Seven Seas Lagoon and are on or very near the monorail loop that connects them to the Magic Kingdom Park. Guests at the Contemporary and Bay Lake Tower can walk to the Magic Kingdom. The remaining Resorts are on the shores of the neighboring Bay Lake and access the park via boat. All Magic Kingdom area resorts are very convenient to the Magic Kingdom, but further away from other parks, especially Animal Kingdom. The Beach Club, Yacht Club, Dolphin, Swan, BoardWalk Inn, Beach Club Villas, and BoardWalk Villas have access to both Epcot and Disney’s Hollywood Studios via boats or walking paths. Despite Epcot being connected to the Magic Kingdom via the monorail system, there is no easy way to get from the Epcot Resorts to the front entrance of Epcot, where the monorail is. Caribbean Beach, Riviera, Pop Century, and Art of Animation have access to Epcot and Hollywood Studios via Skyliner gondola. All resorts have access to parks via bus. Epcot area resorts are the most centrally located, although traveling to and from the Magic Kingdom can still take several minutes. Near Disney’s Animal Kingdom there are unfortunately no resorts within walking distance. While all of the above resorts are convenient to the Animal Kingdom Park, they are further away from the other parks, especially the Magic Kingdom. Bonnet Creek is a road that is roughly found just east of Epcot, moving north toward the Magic Kingdom area. These resorts access all parks via bus, but they do have a boat that connects them to Disney Springs (formerly Downtown Disney). Like Epcot Resorts, the Bonnet Creek hotels are reasonably centrally located, although further away from Animal Kingdom. They are not particularly close to the Magic Kingdom either, but the traffic patterns of Disney World make the drive between these resorts and the Magic Kingdom quicker than most other non-Magic Kingdom resorts.